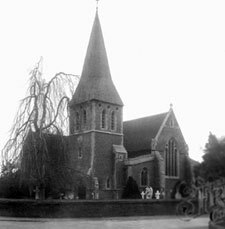 St John’s Church was described at its Consecration in 1887 as “the most beautiful parish church of modern days”. 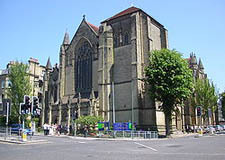 Designed in 1881, the church is one of the most famous buildings by John Loughborough Pearson (pictured above) who was probably the greatest ecclesiastical architect of the Nineteenth century gothic revival. 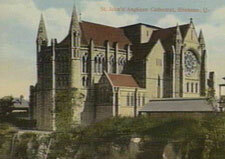 He was also responsible for Truro Cathedral and Brisbane Cathedral. His wonderfully vaulted roof and soaring gothic spaces provide a matchless setting both visually and acoustically for an organ quite stunning in its splendour. The combination of Lewis’s genius as a voicer and Pearson’s acoustic ambience result in a cathedral-like sound of superlative beauty. 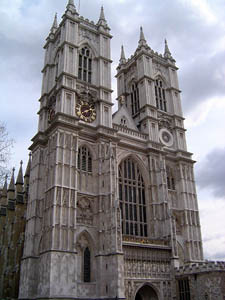 The organ is the largest in London in a parish church and survives as an outstanding example of Lewis’s work. 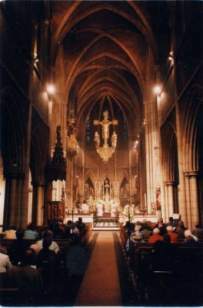 St. Agnes is a beautiful inner city parish church in the heart of Liverpool. 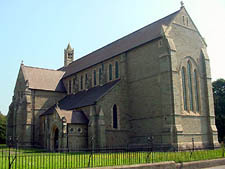 It is situated on the corner of Ullet Road and Buckingham Avenue, close to Sefton Park. Consecrated in 1885, it was built at the expense of Mr H. Douglas Horsfall, he also founded St Chad’s Theological college in Durham. 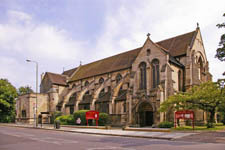 The building was designed by John Loughborough Pearson. 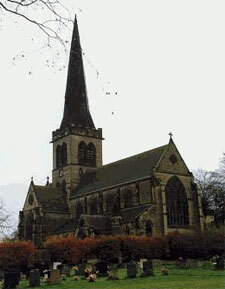 His first church, designed in 1843. Pevsner says of it “he (Pearson) was obviously a beginner”. The present churchwarden, Frank Barratt in his 29th year in that position says “we love our little church and everyone has to start somewhere”. Designed in 1879 and built in 1881. “All best wishes for the success of the exhibition”…. Canon Roger Williams. Designed in 1894 and the first stage built in 1897. Completed by Frank Pearson in 1911.This year is their centenary year and they have a programme of special events. Another Pearson church lacking a spire. “Good luck with your exhibition”….Revd. D.Sebastian Jones. Designed 1878-81, built 1882-4. “I visited St. Stephen’s a few years ago and was enthralled by it………how good that you are commemorating the centenary of his death in style. I’m sure he would have approved!….Your Northumberland cousins send you their greetings, their prayers and join you in our mutual gratitude for the work of J.L.Pearson”.The Revd. Canon Graham Revett. Designed 1881-2, built 1882-3. Includes a dramatically beautiful reredos by G.F.Bodley and stained glass by Clayton and Bell. 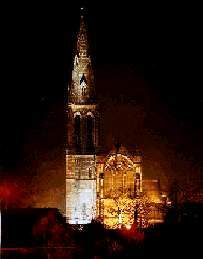 “I’m delighted that St. Stephen’s is still strong” Revd.Trevor MacDonald. Designed 1854, Built 1855-6. “What a nice idea” Revd. Michael Palmer. Restoration, designed 1886, modified design executed in 1886-7. 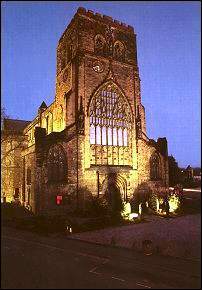 “Here in Shrewsbury Abbey, the East end of the church is the work of Pearson, including the beautiful reredos which was restored a couple of years ago.” Revd. Ian Ross. Designed 1862-3, built 1863-5. 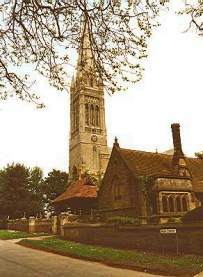 This church has the advantage of a completed tower. Glass by Clayton and Bell. “On behalf of the P.C.C. 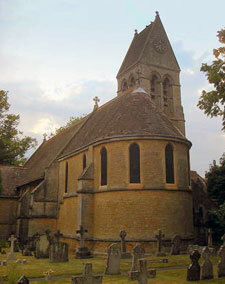 of Christ Church, Appleton, I send you our very best wishes for the success of your exhibition.” John Churchill, Hon. Treasurer. Designed and built 1895-97. Celebrating their centenary in 1997. 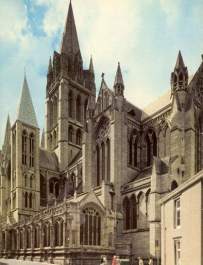 “Please accept our best wishes from the Parish of St. Theodore, Port Talbot for the celebrations at St. Stephen’s, Bournemouth.” Miss Beryl M.George, treasurer. Designed 1866-72, built 1872-7. 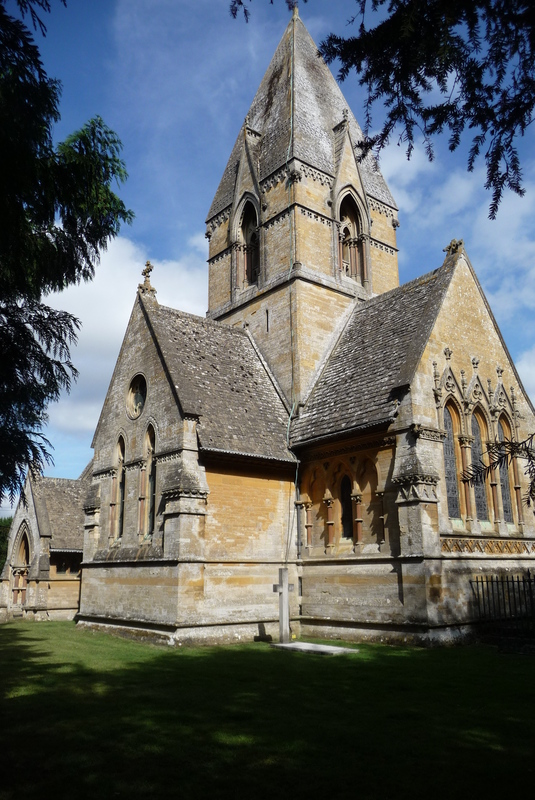 Pevsner states “a very fine sensitive scholarly piece of Gothic revival. “I am happy to extend the best wishes of this parish to you” Revd. R.J. Buckley. Designed 1878-9, built in three stages between 1880-1910. 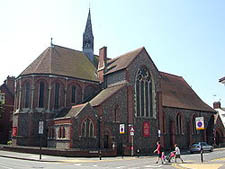 Designed 1870, eastern part built 1871-2, western part with one extra bay to nave 1876-8, steeple 1897. “Greeting as you celebrate the anniversary of John Loughborough Pearson’s death. We at St. Augustine’s are constantly reminded of what a great man of faith and prayer he was as well as being a fin architect. It was his aim to design a building that would draw people to their knees. We still try to maintain that spirit of prayerfulness and awe. May you be richly blessed as you celebrate the gifts that Pearson has been able to use for the glory of God. With prayers and good wishes from us all.” Revd. Anthony H. Yates (Vicar). Designed 1876, built 1876-7. 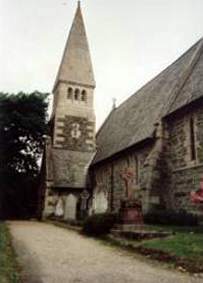 A flint church with stone dressing. “Have a good festival”. Revd. Ian Sykes. 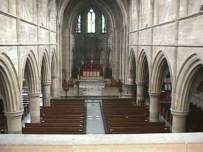 Design of 1880 rejected, new design of 1887 built in modified form; nave and aisles 1889-91, chancel and south chapel executed by Frank Pearson 1898-1901, west narthex and stump of tower 1924. Designed 1876-7, built 1880-1, vestries 1894-5. Red brick exterior. Some glass by Clayton and Bell. Font, pulpit and organ case by Bodley. There is a semi-circular apse with ambulatory. First design 1860, modified design built 1863-4. 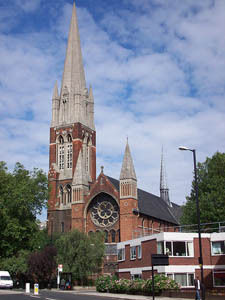 This church is the prototype of Pearson’s great town churches of the 1870s and 80s, and so of the first importance among his works. Painted decoration and stained glass by Clayton and Bell. Designed 1874-6, built 1877-83. “We wish you well in your Centenary Festival for our architect. 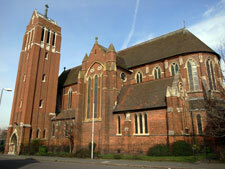 It is now some thirteen years since we, as a Church, celebrated our centenary. He was a man with a large vision which makes worship in one of his churches inspiring and uplifting. Some years ago, we were visited by an African Bishop who expressed a wish that he could take up St. Margaret’s amd transport it to his Diocese for his Cathedral. Such is the measure of J.L.Pearson. May his creations long continue to flourish as centres of worship and witness.” Revd. M.E. Siddle. Domestic buildings designed 1882-3. Chapel designed 1897, built by Frank Pearson 1898-1910. 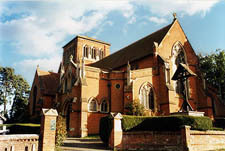 Old convent is now flats and the chapel is used by the Tridentine R.C.’s. “we wish the festival every success – we owe him much for his vision.” Sister Joy, Com. St. Peter. Designed 1858, built 1858-61. 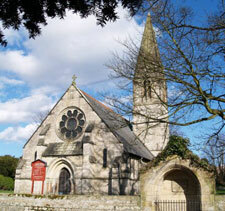 Has a spectacular spire which is a famous local landmark being the tallest in East Yorkshire. 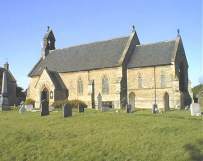 This church has suffered various roof faults in recent years and they have an appeal with a target figure of £100,000 for a major restoration. “Good luck with your Festival”. Giles Peacock (Churchwarden). 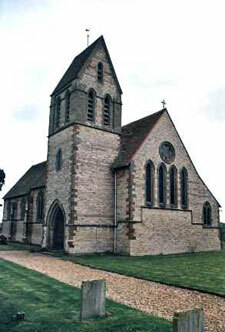 Designed 1889, chancel built in 1890-1, remainder executed by Frank Pearson to modified design, 1899-1901, 1911.